The best way to start the tour is at the King Kamehameha Statue in Honolulu. From there you can start your walk around the historic buildings. Coming here by car: The parking lot in front of the Aloha Tower Marketplace (1 Aloha Tower Drive) charges $2 for up to 3 hours during the week from 9am - 4 pm. Furthermore, stores in the marketplace can validate your parking ticket. More parking is available at Pier 5 & 6 at the harbor along Aloha Tower Drive. The statue of the famous king is located in front of Aliiolani Hale one of the most photographed buildings in Oahu. 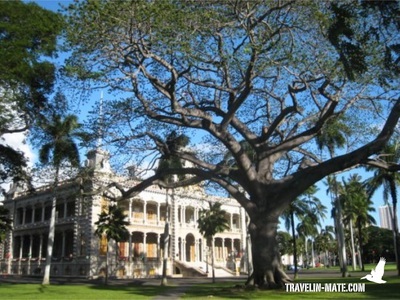 Originally it was built as royal palace for King Kamehameha V but finally occupied with government offices. Today it is housed by the Hawaii State Judiciary History Center showing exhibitions and movies about the states history and ancient Hawaiian society. 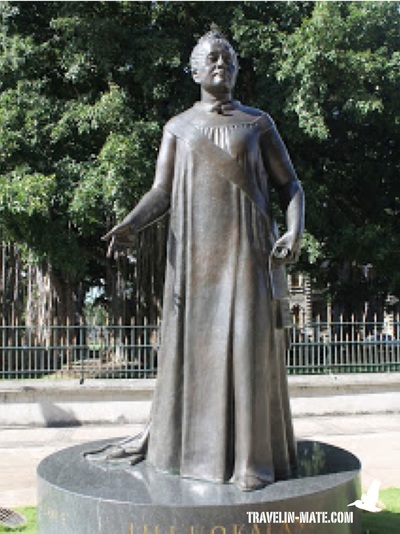 The King Kamehameha I statue is a replica of the original making by an artist named Gibson who lived in Florence, Italy. The original got lost during its crossing to Hawai’i. Strangely, the shipwrecked captain found the statue later on the Falkland Islands. He bought the statue for $500 and sold it to Gibson. Since the replica was already on its way to Oahu the original was finally placed in Kapa’au, Kamehameha’s birthplace on Big Island. On the opposite of Aliiolani Hale lies the Iolani Palace, the former royal palace of the monarchs and the only one used in the US by royals. After Queen Lili’uokolani was overthrown the provisional government, the following republic, territory, and State of Hawai’i was located here until December 1962. By then the Palace became a National Historic Landmark and the government offices were moved to the newly built State Capitol. In 1969 the building was closed and restored to become a museum dedicated to the royal family showing their pictures, jewels as well as restored interior. In April 1982 the overthrown queen was dedicated a statue, which is located on the grounds between the capitol building and Iolani Palace. 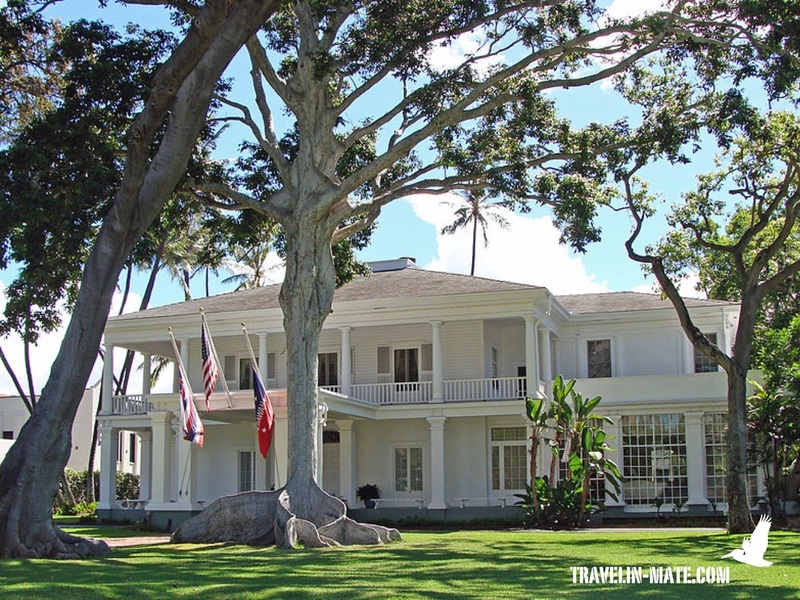 Next to the state capitol lies a white mansion that was built in 1840 by a captain who became Queen Lili’uokolani’s father in law. Lili’uokolani married his son John Dominis and became the owner when her husband died. Since 2001 the mansion is a museum for Hawaiian history and since 2007 also a National Historic Landmark. Another impressing building is the state library that was constructed from 1911 – 1913. It contains not only 525,000-catalogued books but also a garden courtyard where visitors can spend their time and read the books. The Californian Mission style building built in 1928 along King Street is housing the Government of the City and County of Honolulu. Closeby Honolulu Hale you will see three original frame houses resembling New England homes. No coincidence since they were built around Boston and shipped to Hawai’i to serve as homes and workplaces for the first missionaries. 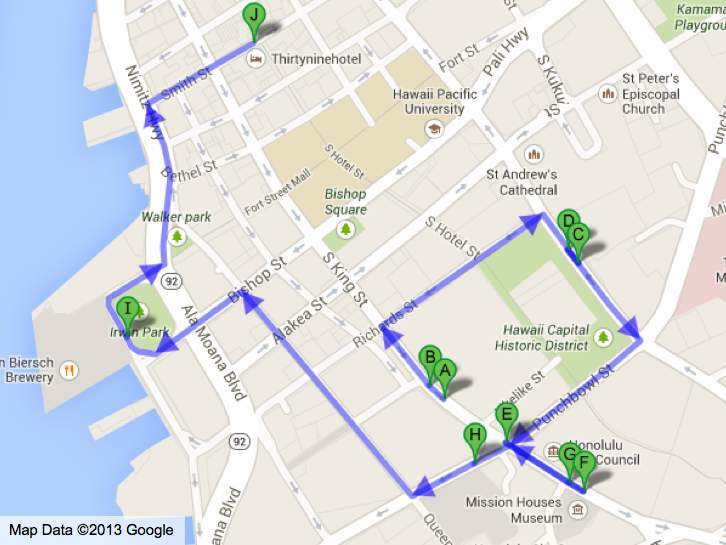 From the church you can extend your walk to the waterfront or continue to Chinatown or Waikiki directly. Going to the waterfront you have to walk down Punchbowl Street and turn right into Queens Street to make a left into Richard Street. From there walk two blocks towards the ocean and turn right into Aloha Tower Drive. 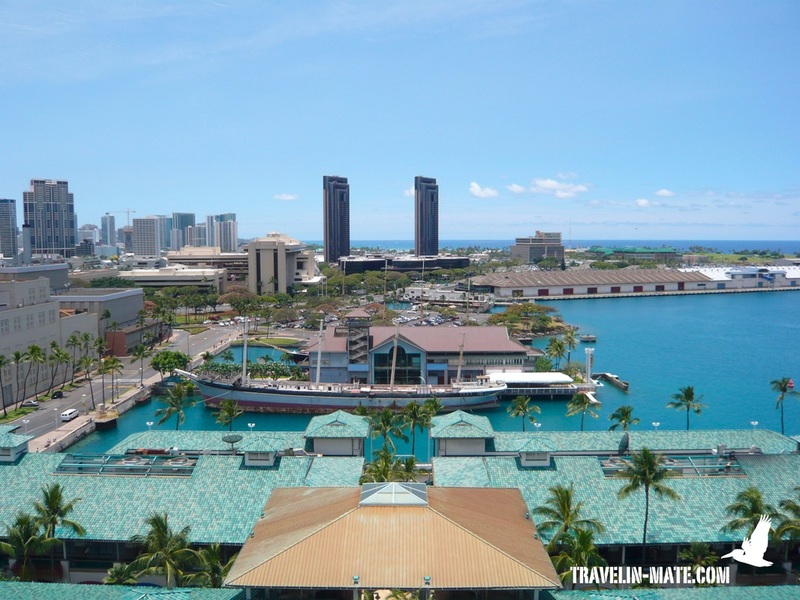 The Aloha Tower was the tallest building in Hawaii for about 40 years. The 10-story tower was built in 1926 and became a well-known landmark on Oahu welcoming cruise ships and container vessels. 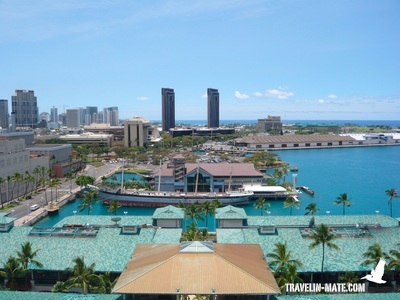 Today the tower functions as habor traffic center and has an observation platform open to public and offers beautiful views over the Honolulu harbor and shoreline. 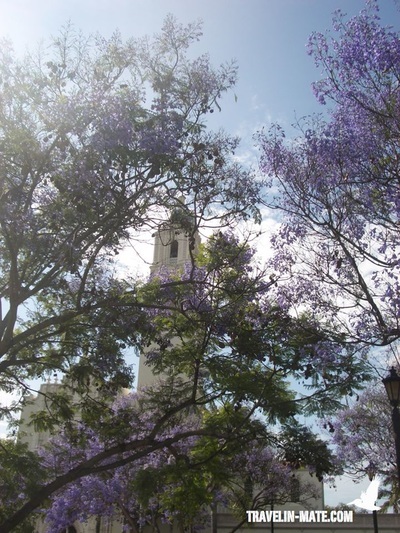 It is accessible by a small vintage elevator and opens daily from 9:30 am to 5 pm. The admission is free. An open-air shopping center with 75 shops and restaurants called Aloha Tower Marketplace is bordering the tower. 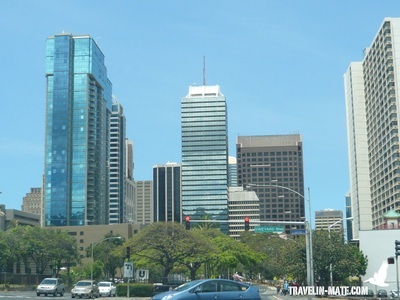 After enjoying a marvelous view over Honolulu from Aloha Tower you have the opportunity to continue your walk to Chinatown, which is around the corner. Walk back to Kings Street and just turn left. The area of Oahu’s Chinatown is located between River and Bethel Street. It originated when the first Chinese came to Hawai’i around 1788 and 1789. First a community of family stores, it grew with more and more Chinese laborers coming to the island to work on the sugar cane farms and pineapple plantations. And the listed map for navigation. The Hawaiian Theatre – A beautiful theatre that opened its doors in 1922. It was restored in the 90’s and functions today as performance center again. Izumo Taishayko Mission – One of the few Shinto shrines in the US with a wooden A-frame structure. Kuan Yin Temple – Lovely designed Chinese temple dedicated to the Chinese deity of compassion, Goddess Kuan Yin. Maunakea Market @ 1120 Maunakea Street - Souvenir shops, tea huts, and restaurants. Oahu Market @ King and Kekaulike Street - Food market and restaurants. Kekaulike Market @ Kekaulike Mall between N. King and Hotel Street - Fresh fish, meat, poultry, fruits and vegetables. 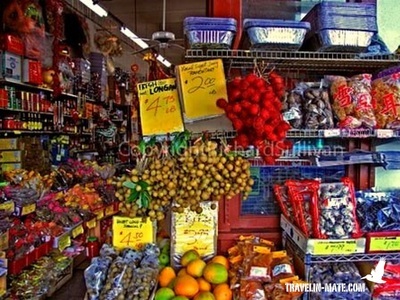 ​Coming here during the first Friday each month Chinatown transforms into an art walk and popular nightlife area. From Chinatown I would return to Waikiki in order to explore more sights or to call it a day at one of the many beach bars. Coming to Waikiki you might be overwhelmed first by the monstrous hotel complexes, crowds, and noise. Everything is so different than the majorities imagination of Hawai’i but even here you can walk around historic sights and areas and find little escapes from the area’s busyness. Coming here by car: the best area to park is around Honolulu Zoo since you do not have to pay for parking here. 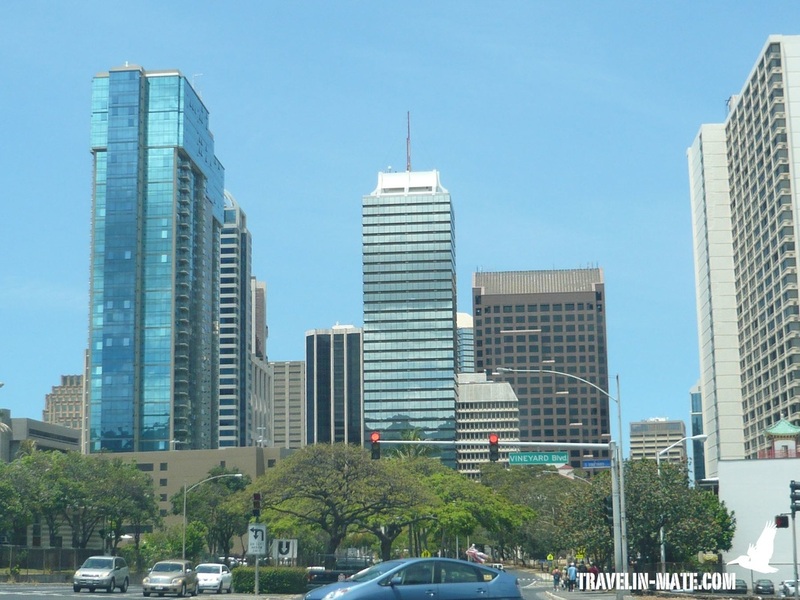 The Zoo is located at Kalakaua Ave and Monssarrat Ave with plenty of parking. Additional parking is available along Ala Wai Blvd, which is a one-way street coming from Honolulu Zoo in Waikiki. Before Waikiki became what it is today, a victim of its own popularity with high-rise buildings and a glamourous shopping mile but also many unattractive parts and cheap selling stores, it was the seat of the government and the islands’ center of hospitality. Most areas were swampland with just little sandy beaches around. Over the time sand was trucked in and the area became more and more popular with tourists and companies opening hotels to cover the demand. 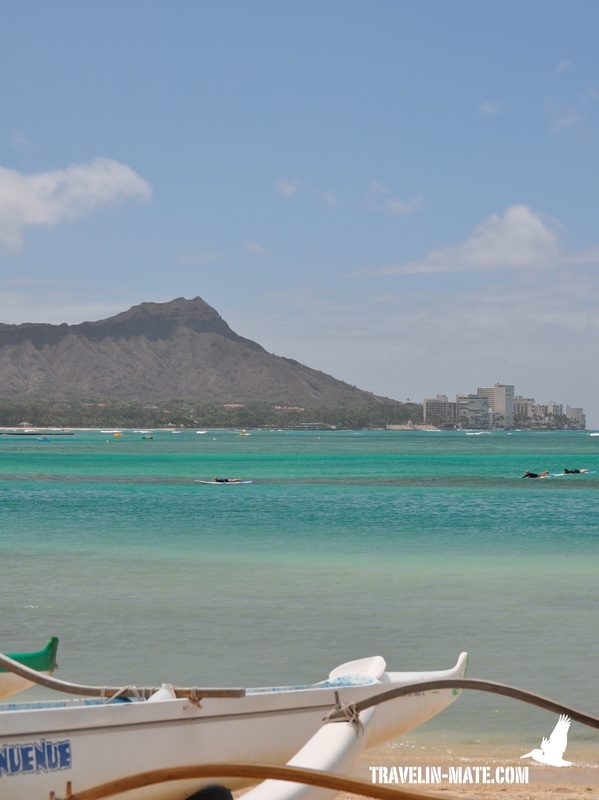 The area between Honolulu Zoo, the ocean and Diamond Head foothills is called Kapiolani Park. In 1877 this park was dedicated by King Kalakaua to Queen Kapi’olani and originally featured a horse track race. Before there were two heiaus located in this area. One was Kupalaha at Queen’s Surf Beach. It is said that Kamehameha I made human sacrifices here. The second was Makahuna along the foothills of Diamond Head that was dedicated to Kanaloa, the god of the Seas used by fishermen and seamen. A bit further north towards busy Waikiki at Kuhio Beach you will see many surfers in the ocean. 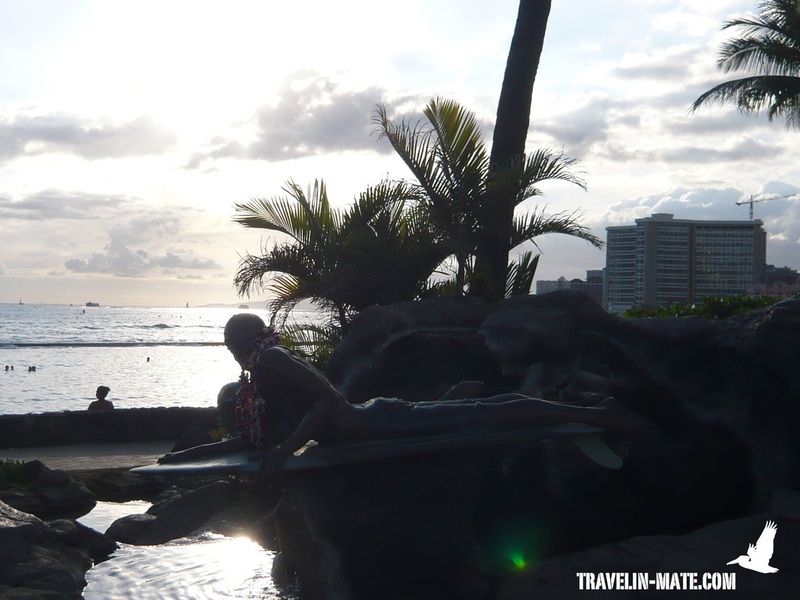 This area has been a popular surf spot ever since and is also the reason why many homes of Waikiki chiefs were located here in ancient times. Surfing was their favorite sport and nicknamed ‘sport of the kings’ but there was no kapu (forbidden activities) for other social classes not to surf as well. The only restriction were designated areas, the ‘royal waves’, that were reserved only for the chiefs. Outrigger Canoe Club along Kapi’olani Beach this sport was preserved and became a popular international sport. The second marker along the historic walk is not only a famous surf spot but also the mouth of an old stream that flew from the mountains down to Waikiki marsh. Further north along the shore you approach a statue usually circled by visitors waving towards the sky. The reason is a webcam mounted on the statue’s opposite at Kalakaua Ave that became a popular way greeting families at home from Oahu. However, the statue shows Duke Kahanamoku one of the most famous Hawaiian surfers named ‘Father of International Surfing’. His longest ride was recorded in 1917 riding a 35 ft high wave for about 1.25 miles. Duke was born and raised in Hawai’i and was part of the Olympic swimming team winning three gold, two silver and a bronze medal in four Olympic games between 1912 and 1932. Afterwards he became an actor and finally Honolulu’s sheriff from 1934 – 1960. Coming closer to Waikiki’s main artery you approach stones circled by a fence. 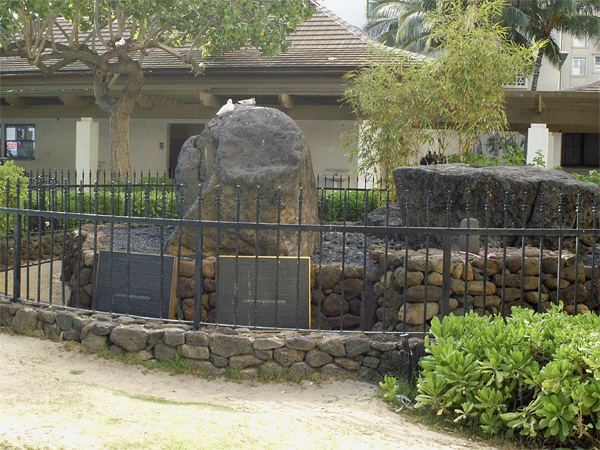 The legend says that these stones were brought from Kaimuki by thousands of people hauling them two miles to Waikiki to dedicate them to four soothsayers. 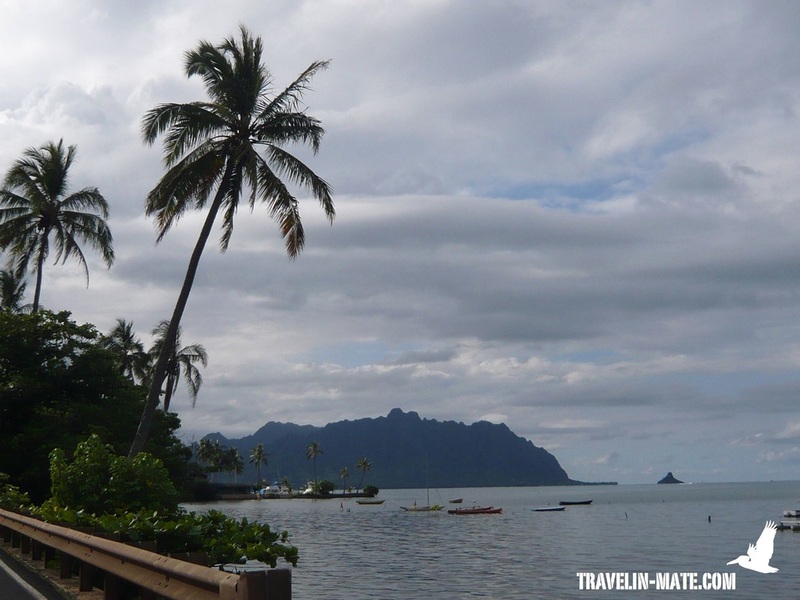 Those soothsayers came from Tahiti to Hawai’i in the 16th century and were famed for their healing powers. It’s further said that they transferred their powers to the stones. 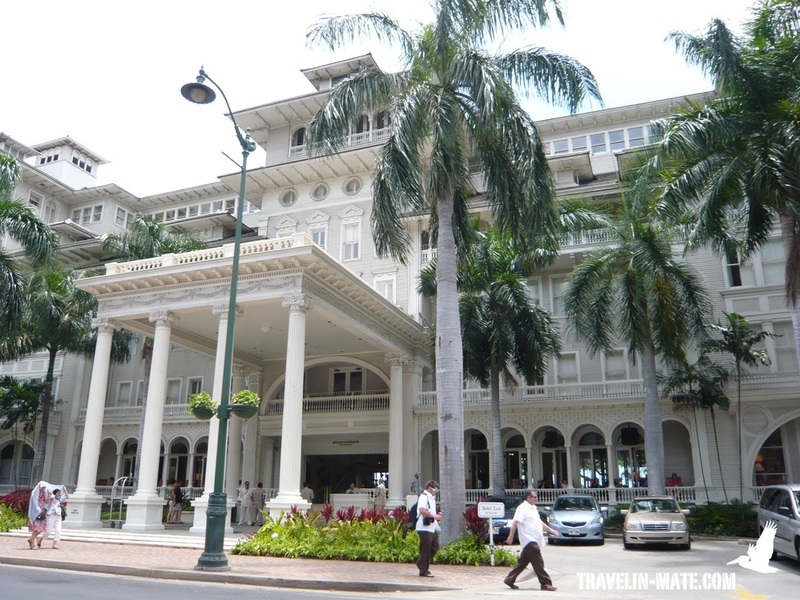 At Kalakaua Ave lies the most impressing hotel structure of Oahu: The Moana Surfrider Hotel. Its white facade with the high columns that were influenced by European styles and the beautiful verandas became the flagship of Hawaiian tourism. The first sections of the hotel were opened in 1901 featuring 75 rooms spread over 4-stories. The Moana was the second hotel around replacing bathhouses that were offering simple rooms to tourist in the 1880’s. Its competitor was the Park Beach, the first beach hotel with 10 rooms in Waikiki, equipped with bathrooms and telephones. The Moana Hotel sits on a kou tree grove, whose wood was used to produce bowls and eating implements. Today it has 793 rooms, a freswater swimming pool, several restaurants and bars. Don’t hesitate to enter the hotel to explore the beautiful lobby and to visit the huge banyan tree in the courtyard located at the beach. 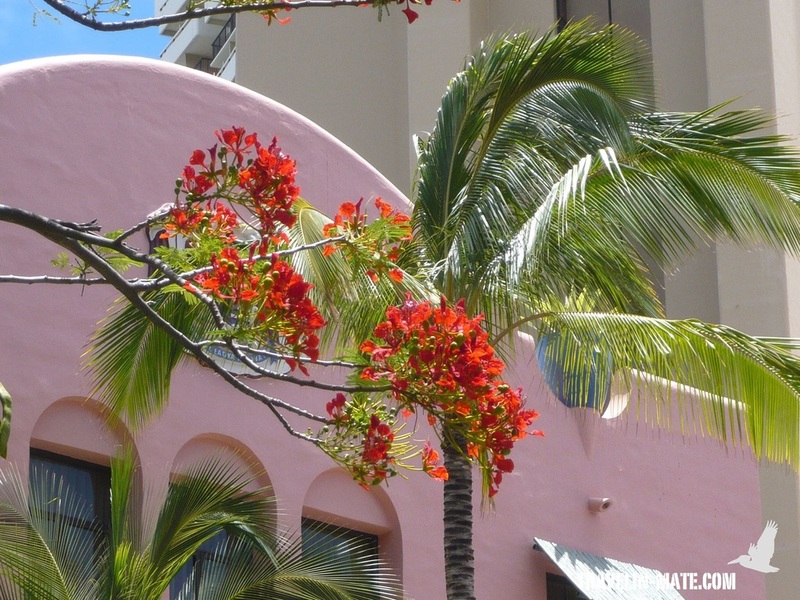 Another legendary hotel is the Royal Hawaiian also known as ‘Pink Palace’. Within its back lawn you will see some coconut palms, leftovers of the royal coconut grove known as Helumoa with nearly 10,000 trees. King Kamehameha I camped here when he was conquering Oahu and later built Queen Kaahumanu’s summer palace in the grove. Although the Royal Hawaiian Hotel opened its doors in this areal including the coconut garden in 1927 the grounds are still owned by the ancestors of the Kamehamehas. Eversince the Royal Hawaiian belongs to the most luxurious hotels in the world hosting celebrities, politicians, and the rich. In ancient times Waikiki was not only the surf area for the chiefs but also known for healing and great powers. Many physicians lived here and the stretch in front of Halekulani Hotel was frequented by the sick and injured coming here for a bath. During their bath they asked for forgiveness for past sins, since they believed these caused many of their illnesses. From Halekulani’s beach continue on the beach promenade to the north. At the end you will come to a beautiful beach with colorful painted canoe boats and a fishpond. This pond is the last one remaining of hundreds. They were controlled by the chiefs but maintained by their commoners. The ponds functioned as storage with fish available for invited and unexpected guests. Walk back along Kalakaua Ave taking Ala Moana Blvd to the right. At the corner of both streets you will pass the convention center, the largest public building in Hawai’i. Getting back to Waikiki’s center you will come across many high-class designer stores along Kalakaua Ave that occupy former poi and rice fields, which were covering the foothills of Manoa Valley. After passing the designer stores and several shopping malls you will reach the International Marketplace that is covered by a Bayan tree. Today a conglomeration of cheap souvenir shops this area was the summer residence of Hawaiian’s first elected king William Kana’ina Lunalilo (1835-1874). Referring to George S. Kanahele William enjoyed “the quiet life of Waikiki and living simply on fish and poi with his native friends” in his summer residence. I think it is hard to imagine how quiet it was around the marketplace area when that many people and loud traffic surround you today. From here you can walk back to your car or hotel or escape the busyness again strolling over the side alley to Ala Wai canal. Ala Wai was constructed in the late 1920’s to drain the area. The former fields were first a very productive agricultural area but with the increasing population turned into a breeding ground for mosquitoes. Walking along the canal banks gives you a time out from all the cars and people along Kalakaua Ave. If you are in the area on a Tuesday, Thursday, Friday or Saturday walk back to Kuhio Beach to attend a free Polynesian dance from 6:30-7:30 pm (weather-permitting) near the Duke Kahanamoku statue at the corner of Uluniu & Kalakaua Ave. on the beach.